Renowned as a printer, scientist, and diplomat, Benjamin Franklin also published more works on religious topics than any other eighteenth-century American layperson. Born to Boston Puritans, by his teenage years Franklin had abandoned the exclusive Christian faith of his family and embraced deism. But Franklin, as a man of faith, was far more complex than the "thorough deist" who emerges in his autobiography. As Thomas Kidd reveals, deist writers influenced Franklin's beliefs, to be sure, but devout Christians in his life-including George Whitefield, the era's greatest evangelical preacher; his parents; and his beloved sister Jane-kept him tethered to the Calvinist creed of his Puritan upbringing. 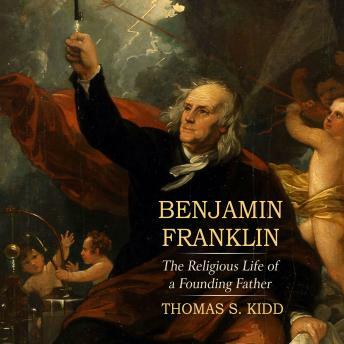 Based on rigorous research into Franklin's voluminous correspondence, essays, and almanacs, this fresh assessment of a well-known figure unpacks the contradictions and conundrums faith presented in Franklin's life.